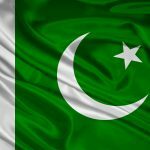 Pakistan shares a 1,200 kilometres long coast line with the Arabian Sea – a mid sea which joins the the strategic oil line of Persian Gulf with the Indian Ocean. On it lie the Karachi Port which has been serving this part of the erstwhile Indian subcontinent and later Pakistan on its creation in 1947. However, owing to the growing needs of the country, there was a need to develop other smaller coastal ports into major cargo handling ports. Beside Karachi, Pasni, Jiwani, Gadani, Ormara and Gwadar are other ports which are being developed into world class ship handling centres. 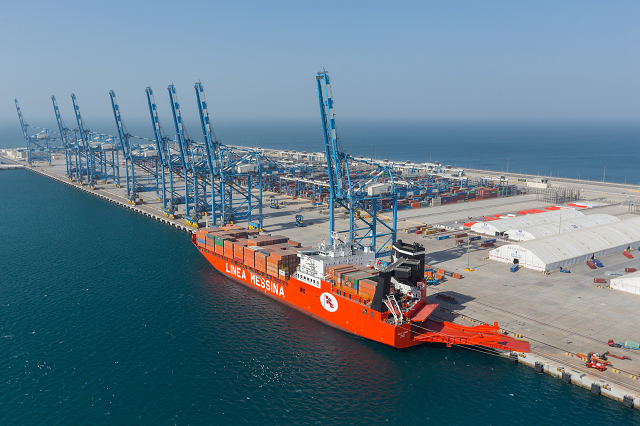 Of these Gwadar is the latest development, which is almost completed and recently in December 2008, it has started handling shipping operations with the arrival of three urea laded ships. OP-V:– OP-V has been constructed at a cost of Rs. 510 million with an annual handling capacity of 6 to 8 million tons liquid cargo. The project has been in operation since April, 1994. Circular Road:- To solve the problem of traffic congestion around Port area and central city areas of Karachi Metropolitan Corporation, the Government has given go ahead signal for construction of a Circular Road comprising Southern By-pass, Jinnah Bridge (Phase-II) and Northern By-pass at an estimated cost of Rs. 1353 million. The first phase of the project has been completed in December, 1997. Reconstruction/Rehabilitation of Berths No.5-10:- To enable Karachi Port to handle increasing volume of cargo, the Government has directed to reconstruct/rehabilitate the Berths No. 5-10 at an estimated cost of US $ 60 million within the next 2 years. Container Terminals– In order to modernize cargo handling at Karachi Port, the Government has directed KPT to set up another Container Terminal at West Wharf (Berths NO.22-24) through private sector at an estimated cost of US $ 75 million. On April 5, 2009, the first super cargo ship ( pictured above) carrying 5000 containers arrived in Pakistan through the newly dredged 11 km long channel berthed in a new berth which has been dredged down to a depth of 14m ( The berth used to be 11.3 m deep before current development ). Muhammad bin Qasim who captured the area around 712 A.D. The port was developed close to the Pakistan Steel Mills complex near the Indus River delta. Port Qasim is Pakistan’s second busiest port, handling about 35% of the nation’s cargo (17 million tons per annum). It is located in an old channel of the Indus River at a distance of 35 kilometres east of Karachi city centre. 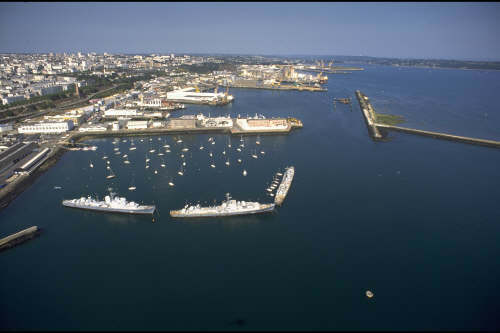 The total area of the port comprises 1,000 acres (4 kmÂ²) with an adjacent 11,000 acre (45 kmÂ²) industrial estate. The approach to the port is along a 45-kilometre long Navigation Channel which provides safe navigation for vessels up to 75,000 DWT. The geographic position of the Port places it in close proximity to major shipping routes. One of it’s major advantages is the proximity to national transport facilities – 15 kilometres from the Pakistan National Highway, 14 kilometres from the National Railway network through six railway tracks located immediately behind the berths and 22 kilometres from Jinnah International Airport. Gwadar Deep Sea Port: Gwadar was once a fishing village on the Arabian Sea coast in Balochistan province and some 72 kilometres from the Iranian border. It is situated about 400km from the Strait of Hormuz, a major conduit for global oil supplies. More than 13 million bbl/d of oil pass through the Strait. It is strategically located between three increasingly important regions: the oil-rich Middle East, heavily populated South Asia and the economically emerging and resource-laden region of Central Asia. The present town of Gwadar, Pakistan, lies on the Arabian Sea coast about 30 miles (48 km) to the east of Gwadar Bay. Gwadar’s location and history have given it a unique blend of cultures. The Arabic influence upon Gwadar is strong as a consequence of the Omani era and the close proximity of other Arab-majority regions. The legacy of the Omani slave trade is observed in the population by the presence of residents which can trace their descent from the African slaves who were trafficked through the town (en route to destinations in the Muslim Far East. The area also has a remarkable religious diversity, being home to not only Sunni Muslims, but also to groups of Christians, Hindus, Parsis, and various minorities. Pakistan identified Gwadar as a port site in 1964. However, it was only in 2001 that significant steps were taken with the help of Chinese assistance in the construction and development of the deep-sea port. The total cost of the project is estimated at US$1.16 billion, of which China has contributed about $198 million for the first phase for construction of three multi-purpose ship berths. China has also invested another $200 million toward building a highway connecting Gwadar port with Karachi. The 45,000 acres Gwadar master plan encompasses development of an airport, industrial zones, export processing zones, beach development, resorts, housing facilities and all civic amenities over the next 50 years. 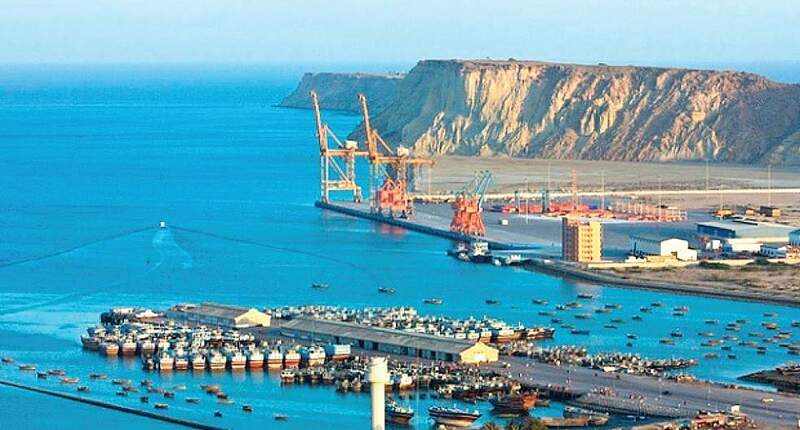 The over $2 billion Gwadar project – which strategic analysts call “a pearl in the Pakistani waters” will allow berthing facilities to many a CAR countries and even China, which is assisting Pakistan in a big way to develop this port. The completion of Gwadar port would make it the deepest port of Pakistan and a trans-shipment port for the region. This is Pakistan’s largest infrastructure project since independence. Funds from non-resident Pakistanis, especially those working in the Gulf, have come in. With Chinese help, it has been completed in five years, which is really fast. In 2007, the government of Pakistan handed over port operations to PSA Singapore for 25 years, and gave it the status of a Tax Free Port for the following 40 years. There is also money invested into the port by the People’s Republic of China. The strategic PRC plan to be engaged in many places along oil and gas roads is evident. To accommodate the tourists and investors from all over the world, Zaver Pearl Continental Hotel Gwadar, a Five Star Hotel situated on a dominating cliff (Koh-e-Batil), overlooking the port, city and surrounded by azure Arabian waters has been built. The hotel is equipped with all those features which are mark of the Hashoo Group. Beside 120 guest rooms, the hotel has Business center with three secretarial offices and two meeting rooms, fully equipped with modern communication and audio visual equipments, dinning room / bar facility for 55 guests. Ormara is a small port located on the Makran coastline along the Arabian Sea in Balochistan province of Pakistan. It is located 450 kilometres west of Karachi, and east of coastal village Pasni. Jinnah naval base of Pakistan Navy is also located at Ormara. Ormara also has a small airport for landing of short run aircraft like the Fokker. Ormara is an old coastal town. Its historical routes are linked with Alexander the Great, who stayed here with his army for a few days on his way back from Indus region after conquering the lands of Sindh, Panjab and the NWFP regions of modern day Pakistan which he joined to his expanding Hellenic empire, in 325-27 BC. One of his generals “Ormoz” died here and the present day Ormara was named after him. For a few centuries, Ormara remained a battle field between the Baloch Sardar (local feudal) and foreign aggressors. Before independence, it was part of the state of Las Bela and afterward it became part of Makran Division. Being an isolated town, it remained undeveloped, however with the naval presence around, life has taken a positive change for the locals with many local industries and the resultant increase in jobs available for the locals. It has a population of about forty thousand people and still offers a traditional look at how the ancients lived. Most residents make their livelihood from fishing; a few of them also work in Middle Eastern countries. Ormara has witnessed considerable growth in recent years especially with the foundation of the Makran coastal highway, which integrated the area more with the mainstream Pakistani economy and major urban centres allowing for easier transport of goods, commerce and people. Pasni is a medium-sized town and a fishing port in along the Makran coastline Balochistan, Pakistan. It is located about 300 km from Karachi. The town houses a modern fish harbour and Port of Pasni, with fishing being the main occupation of the town dwellers. Frozen catch is also sent to Turbat and Karachi for sale in the larger markets. A joint-user airfield is shared by Pakistan Air Force (PAF), Pakistan Navy and civil aviation. PAF as well as PN-Aviation operational facilities are housed nearby. Daily commercial flights link the town with Karachi. In 2008, the government approved the construction of Shadi Kaur storage dam near Pasni, which is expected to alleviate some of the power deficiency of the region. Administratively, Pasni is the headquarters of the Pasni sub-division of Gwadar district that includes Pasni and Ormara Tehsils (tehsil – county) as well as Astola Island which lies 40km ESE of Pasni, in the Arabian Sea. The city of Pasni is itself administratively subdivided into two Union Councils. Jiwani – a small fishing harbour, holds strategic importance in the region, located immediately adjacent to the shipping lanes to and from the Persian Gulf. This is the main reason that the town hosts a small naval base and an airport with a 5,500-foot runway. Jiwani is located at the eastern end of Gwadar Bay, which is shared between Iran and Pakistan. The area around the bay includes an important mangrove forest extending across the international border, and is an important habitat for a wide variety of wildlife, especially the endangered Olive Ridley and Green Turtles. Being free from pollution, Jiwani is reminiscent of a South Sea island, with vast stretches of sandy beaches giving onto the clean, clear green waters of the Arabian Sea. For the same reason, Jiwani is rich in biodiversity. Recently, WWF-Pakistan established the Jiwani Conservation and Information Centre (JCIC). The aim is to contribute towards the conservation of biodiversity in the area, through information dissemination. With the extension of the Makran Coastal Highway from Gwadar, Jiwani is a place to be seen especially by those who are interested in observing history more closely. Jiwani has a small airport located 10 km away from the city centre. It is not a major airport of Pakistan but has weekly flights connecting it with Gwadar, Pasni and Karachi. Jiwani has been used World War II as allied base and remains of same base are available. Visiting the barracks area of the base used during World War 2 reveals many handwritten small stories and name of Allied Pilots. There is another story linked to Jiwani and that is Queen Victoria planned to visit the area to watch sunset and a hut which is now known as “Victoria Hut” was built for this purpose. Whether Queen Victoria visited or not but the Victoria hut is still being maintained by Pakistan Coast Guards.